Nina Sayers (Natalie Portman), a professional ballet dancer that still lives at home, sleeps in a room decorated for a 10 year old, is destined to be PERFECT at least in her eyes. 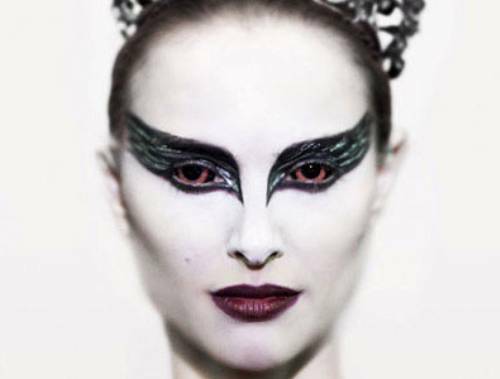 She practices and pushes herself to the point of no return... With the help of her overly possessive mother Erica, a former ballerina, Nina struggles with hallucinations while competing against Lily (Mila Kunis) for the role of The Swan Queen. With a dramatic ending, Nina lets go and creates her perfect ending. Love this movie... Everyone struggles with perfection and almost never is it achieved 100% - there is ALWAYS something that needs to be tweaked until we convince ourself - we are satisfied. I saw the movie a couple of weeks ago and it was ehhh for me. Natalie Portman was great and so was Mila Kunis. There were some aspects of the movie that could have been left out. It wasn't predictable. I'll say that!